Elements Applied: To be applied in herbal medicine plant’s stem or root bark are dried off. Other: tannin, volatile oil, plant acids, viburnin. History: Black Haw was discovered in 1866 in Detroit, as a remedy to maintain pregnancy, avoiding miscarriage and abortion of any kind, either illegally induced by medication, or following any circumstances. The plant’s core role was to support the unstable nervous system, which becomes vulnerable under condition of pregnancy, when various hormones are excreted in abnormal amounts. The herb was also applied in case any medicine, which can induce abortion, was used by a pregnant woman with a corresponding purpose. 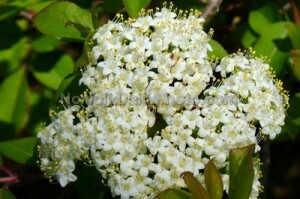 Black haw was popular among legal authorities in the ancient times, as they used it as a remedy to neutralize cotton root, taken by women in order to cause miscarriage. Due to the fact that the plant is used to soothe the system, the plat was practised in healing dysmenorrhoea. It helps the womb to carry the load imposed by the fetus. Used For: Nowadays the remedy is applied to soothe spasms, reduce the arterial tension and treat diarrhea. However, its primary use consists in soothing womb spasms, and fighting dysmenorrhea. Secondly, it’s applied for eliminating false contractions and preventing miscarriage. Due to its ability to calm the system down, the remedy is applied for treating high blood pressure. The remedy effectively eliminates spasms, associated with asthma. Heinerman links the plant with successful application for bronchitis and asthma. According to his experience, the plant also produces an expectorative effect. Conventionally the plant is applied for treating womb disorders, womb pains, acute bearing-downs and lumber pains, severe menstrual pains, severe pelvic muscle spasms, postpartum contractions and false pregnancy contractions, as well as long-lasting hiccup. Additional Info: The plant is native to central and eastern regions of the US. The bush can grow tall and finally have 16 feet in height. Green-colored leaves have 3 inches in length. The herb is characterized by large flowers, and red-colored fruits which can be seen at the end of summer. Preparation and Intake: In form of decoction the plant is taken in a dosage of 2 teaspoons for a glass of water, which is brought to boiling and then kept on low heat for 10 minutes. The decoction is made of dried root bark, and consumed thrice a day. In form of a tincture the plant is taken in a quantity of 5-10 ml thrice a day. Safety: There is no data concerning the safety level of the plant. The herb should not be consumed fresh or dried, only boiled.